I have decided that I am going to will spring to start. Sort of like a rain dance during a drought. 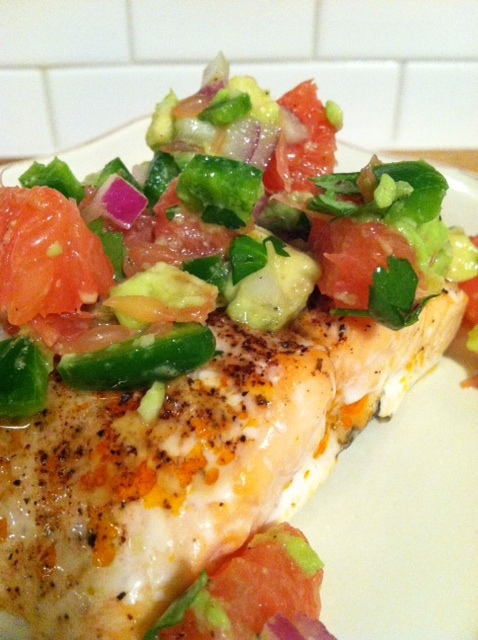 Except I am going to will the spring by making bright, light meals that beg for it. This meal was “Party In Your Mouth” good. I think Tilapia, or a “thinner” whiter fish would have been good with this too. 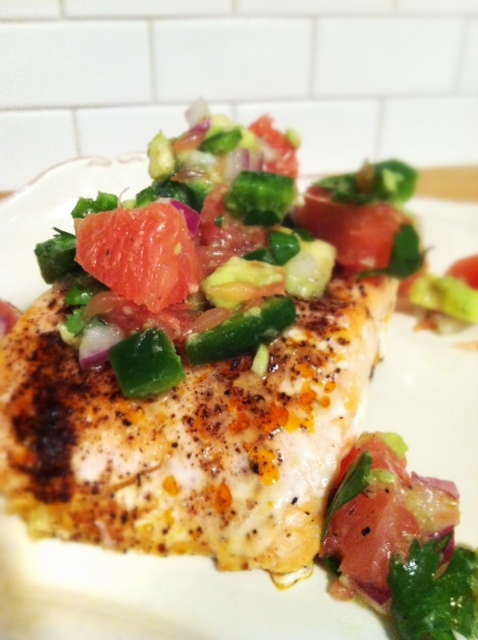 During the summer, I will make this on the grill instead of roasting. 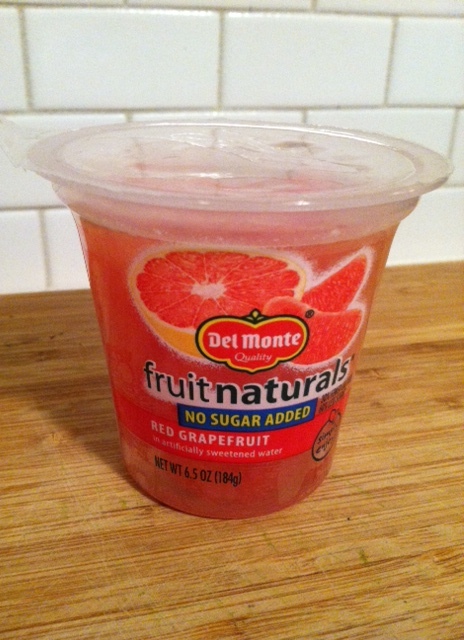 As a short cut, I used these instead of a whole grapefruit. Slacker. 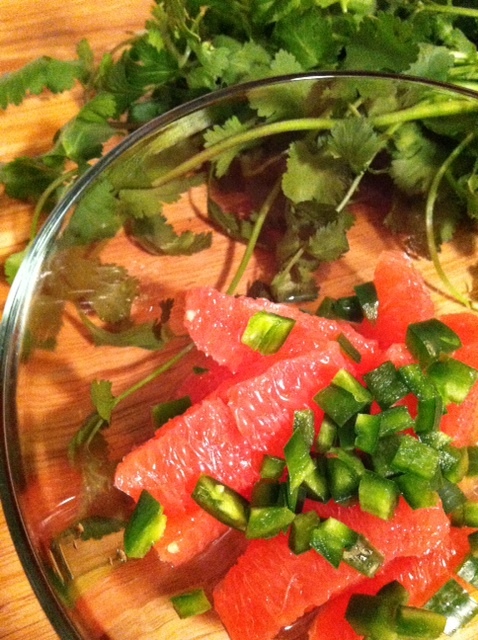 The flavors of sweet and tangy grapefruit and lime juices went together so well with the jalapeno, onion and cilantro! Gently fold it all together. 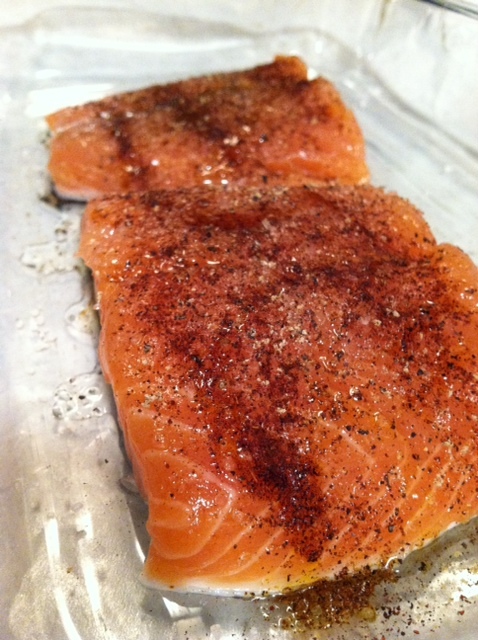 In a glass baking dish, place the fish and brush on both sides with olive oil. 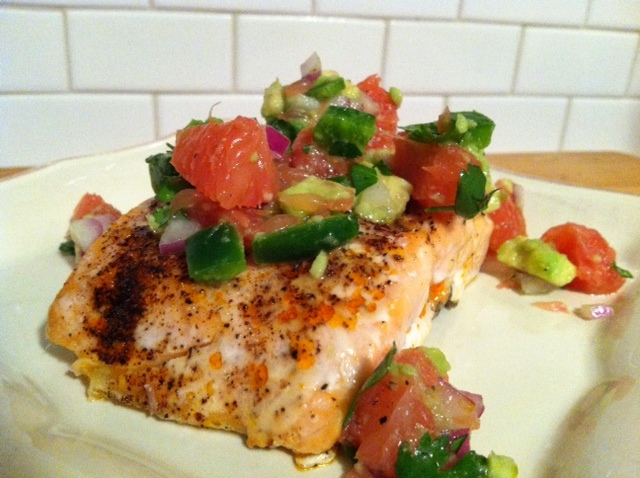 Sprinkle with salt, pepper, cumin and chile powder. Place in the oven and roast until almost opaque in the center, about 12-14 minutes. 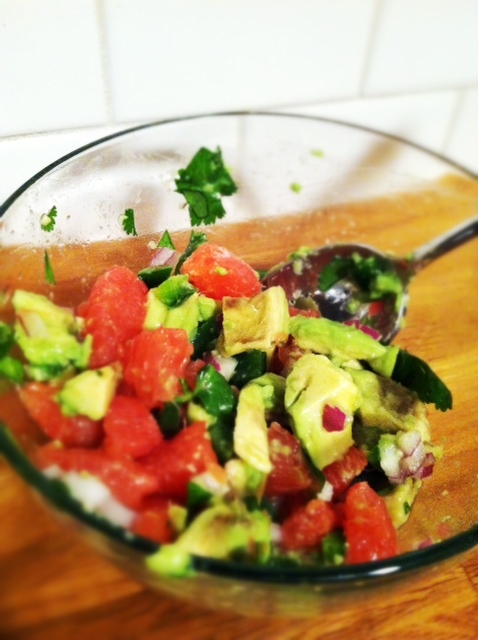 Meanwhile, combine grapefruit segments, jalapeno, red onion, cilantro and lime juice in a small bowl. Season the salsa to taste with salt and pepper.